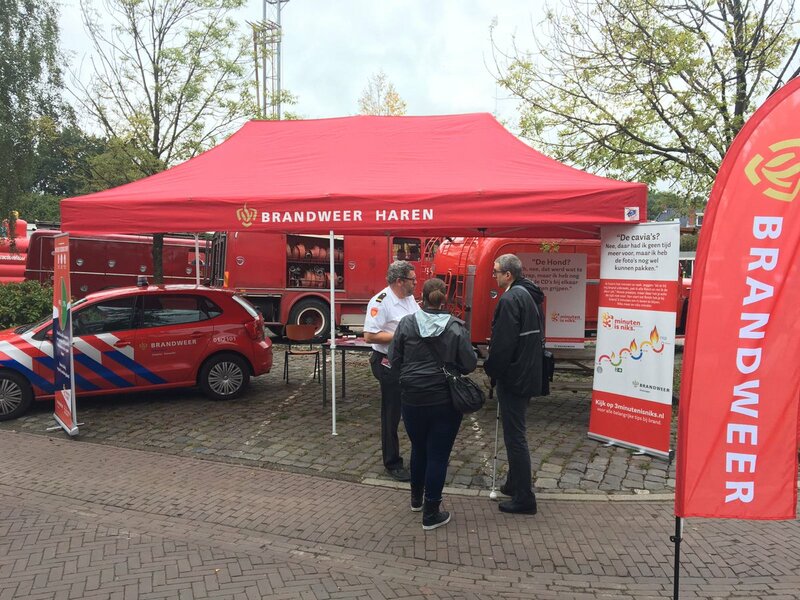 Although promotional tents and advertising tents are the most popular products within the range of E-Z UP shelters, there is also a large group of functional users: think of fire brigades, police and emergency services. An E-Z UP First Aid Tent is the ideal solution to place a recognisable first aid facility at an event in no more than a minute. 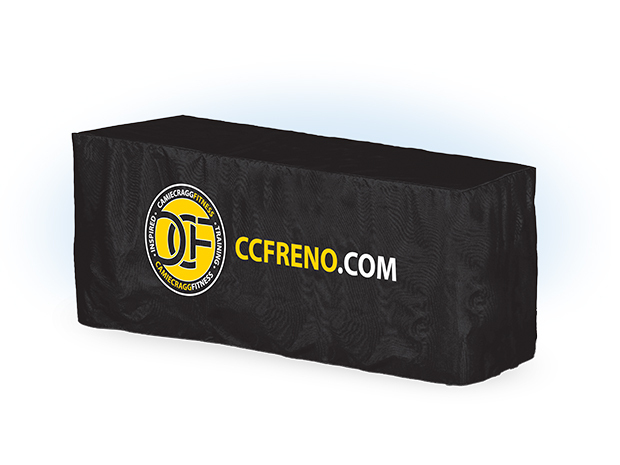 First Aid Tents have specific needs for durability, safety and convenience. What is unique about these tents, which among other clients are provided to the Red Cross, is that easy up shelters are fully customisable to the needs of the user. For example, sidewalls with doors or panoramic windows, or completely closed sidewalls are available. 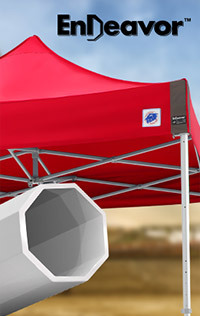 In addition, the tents can be linked by means of rain gutters and connectors in case a larger first-aid unit is needed. 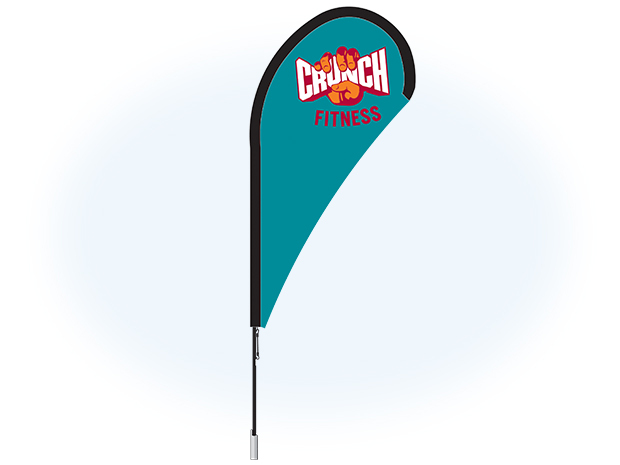 For additional recognisability, the tents can be printed or provided with different types of flags. 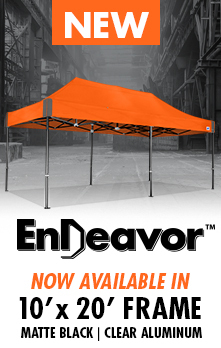 The professional Eclipse-series, the only easy up shelter with a 7-year warranty, is ideal for this target group. 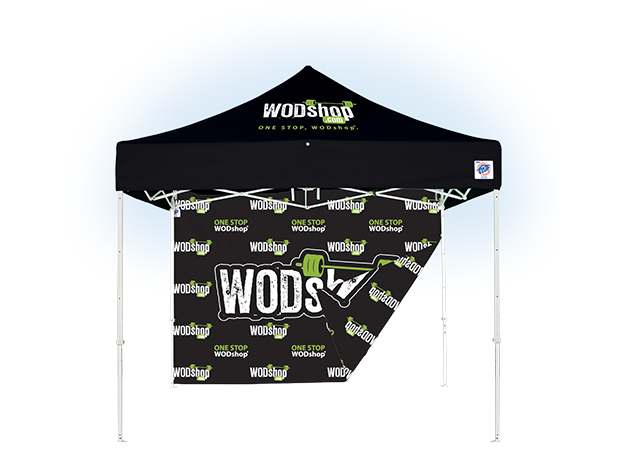 This series of shelters is the best to withstand severe weather conditions (especially when equipped with tent pegs or weight bags) and is perfect for deployment at any event, because the roofs meet the applicable European B1 standard for fire safety. There is no more sustainable or safer choice! 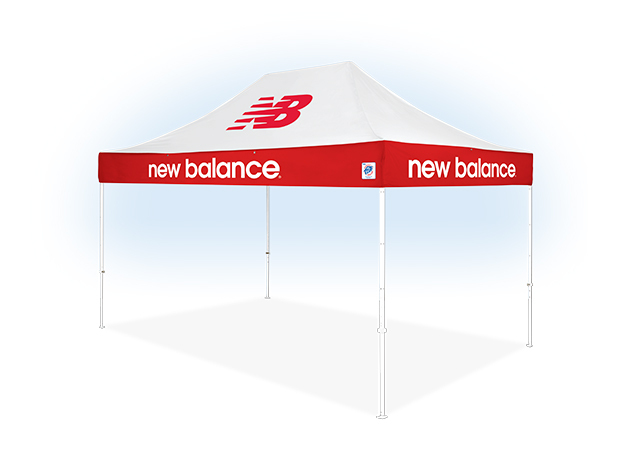 We can finish First Aid Tents with many kinds of printing, such as the logo of your first aid-service, of the Red Cross or of your sports club. 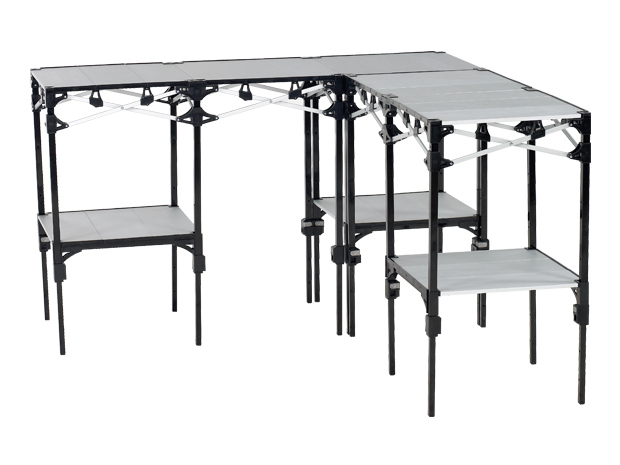 E-Z UP can fully assist in its design by providing unlimited 3D-drawings and proofs. We will not stop until you are satisfied! 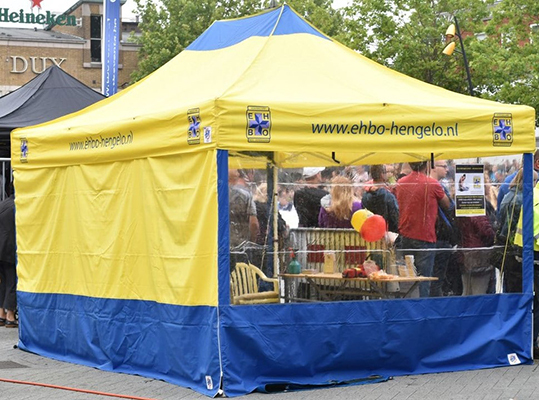 First Aid Tents are available in different types: of those, 3 × 3, 3 × 4.5, and 3 x 6 metres from the Eclipse-type are the most popular. 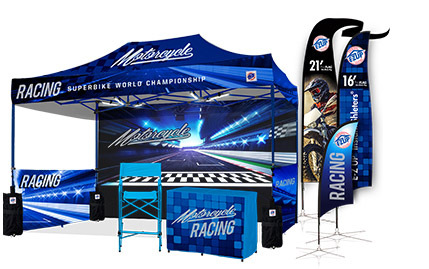 Despite its rugged appearance, the shelter is highly user friendly: adjustable to different heights (up to a passage height of 210 cm), easy to set up, sidewalls are easily assembled using clips, and with its dedicated trolley the tent is easily transported.